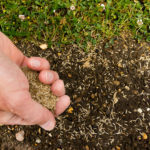 Snow mold, red thread and lawn moss are three unwelcome lawn conditions whose texture and colors can detract from the uniformity of an otherwise neat, green lawn. 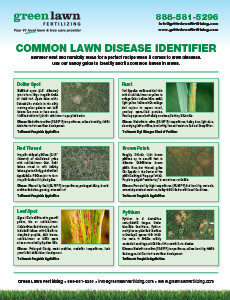 Find out how to recognize and prevent these unsightly lawn blemishes below. Snow mold is a fungal lawn disease that occurs invisibly during the winter, usually appearing in the spring as the snow melts. 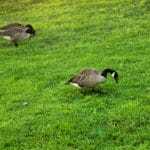 The color is created by a material called “mycelium.” It can be either pink or grey, pink being more damaging to grass, and the two varieties will frequently grow together. Because snow mold results when heat and moisture become trapped in the grass beneath snow, you can keep your grass drier by thoroughly raking fallen leaves in autumn before the snow hits. In addition, seeding your soil with a mix of grasses including bluegrass or fescue will help your lawn to fight this particular disease. 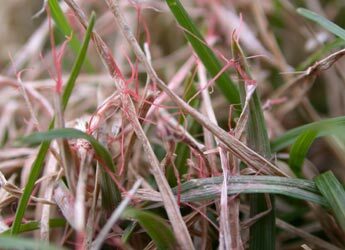 Red thread looks similar to pink snow mold, as well as occurring in similarly cool, damp environmental conditions. To tell them apart, look for the distinctive pinkish-red, antler-like formations protruding from the tips of grass affected by red thread. These are strings of mycelium that have grown to form pinkish or red protrusions. You can keep soil from becoming overly moist and inviting the growth of red thread by avoiding watering near the time when dew falls in your area, and by aerating the soil to improve water drainage. 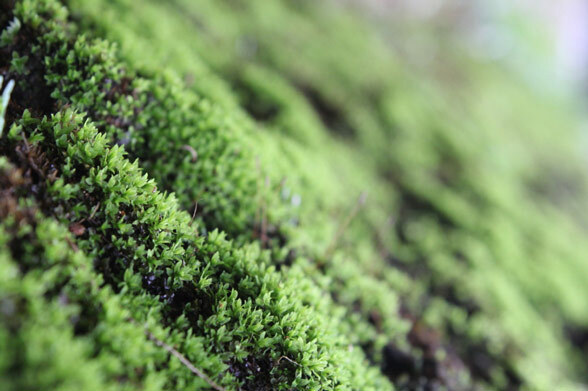 Moss tends to be a slightly different shade than the rest of the grass on your lawn, often a lighter but sometimes a darker green. The texture and height are also markedly different, moss being short and “fuzzy” looking, while grass grows in long, clean blades. Moss prefers the shady areas of your lawn and will die and turn yellow in sunlight. To get rid of moss on your lawn, trim your trees and shrubs so that they block as little sunlight as possible from your grass. 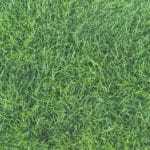 To keep your lawn grassy under conditions that prevent the growth of moss, you should plant grass types that grow well in full sunlight, such as Bermuda grass, Zoysia grass or tall fescue. To help prevent these unwelcome forms of fungus, give us a call! 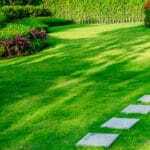 Our preventative fungus treatments will help prevent disease and provide your lawn with the correct type nutrients for combating the lawn problems above. Call your #1 local lawn care professionals at Green Lawn today.